The popular Minecraft franchise is finally coming to Nintendo in a big way this May with the release of a brand-new exclusive Mario crossover! 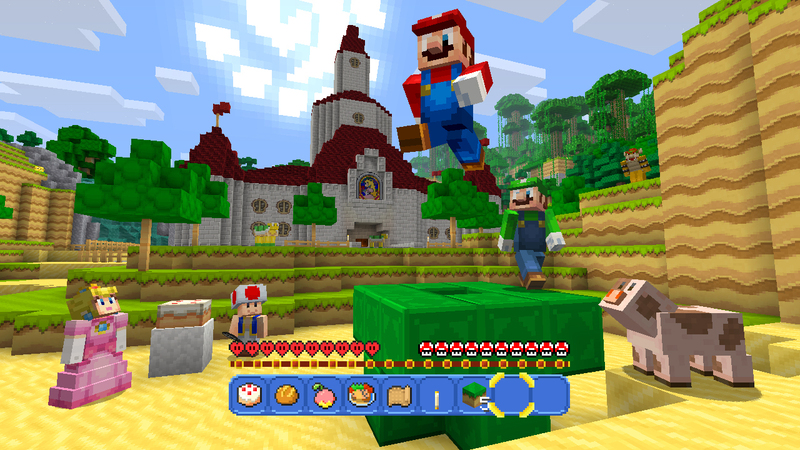 This new content, titled the “Super Mario Mash-Up Pack”, which will only be available on the Nintendo WiiU version of Minecraft, and will include a variety of unique blocks that will replicate the look and feel of Super Mario in the Minecraft world. On top of that, the pack will include a large assortment of character skins, allowing players to change their appearance into popular characters like Mario, Luigi, Peach, Toad, Bowser, and many more! The pack will be made available for owners of the digital version of Minecraft on the WiiU for free on May 17, and will come bundled with the game’s physical release on June 17. Check out the video below to see the pack’s unique content in action!